Idea of Casper first appears. First Dapps join the system. Launch of the alpha version of Casper API. Launch of the beta version of Casper API. DApp (Engl.) Decentralized Application. As an ordinary application, Dapp consists of the user interface (frontend) and the server part (backend), but is different from it as it includes a smart contract. The smart contract is also a part of the backend, only it is created especially for the block-chain. In essence, the smart contract is a contract between the developers and the users that provides for full transparency of application performance. Decentralized applications include games, social networks, postal services and all other things that we are so used to in the world of the Internet. The only difference is that their operation is fully transparent. In concept, this is a contract, a computer algorithm having conditions preset and open for any participant, and when these conditions are fulfilled, the parties will be able to exchange money, assets, or new processes will be launched free from participation of third parties (agents). Casper API is the infrastructural element that allows any DApp to set up a decentralized cloud storage of service data using any block-chain with a smart contract. The decentralized application requests from smart-contract a free space to place content, smart-contract sends an address of the server where data may be uploaded. The Casper API system, during the upload, copies the file to 3 more servers, in summary, we have 4 copies of the file. Further, this number of replicas is maintained. When one server is no longer available in the network, it will be replaced by a new one, which downloads a copy from the 3 remaining servers. Depending on the content, the application developers may encrypt or not encrypt the data. Casper API stores 4 copies of files encrypted or open for review. 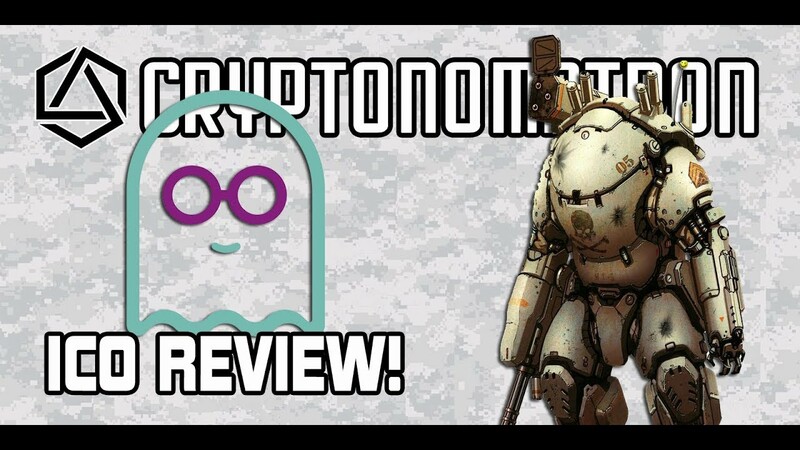 The providers are individuals or legal entities that offer a certain volume of storage space on their computers/servers using Casper API and receiving remuneration for these services using Casper tokens (CSTs). How is it different from the competition? No one on the market has already made or even declared the creation of storage infrastructure for decentralized applications. We are creating a decentralized storage under smart contract management. DApp will be able to interact with the storage by referring to the smart contract. This eliminates the risks of architecture limitations in other systems. We are ready to work with every platform that uses a smart contract. As of today, these platforms include Ethereum, Graphen and Neo. As new block-chains appear, we will be able to start working with them immediately. When did the PRE-ICO take place? The PRE-ICO started on December 19, at 2 pm MSK. It was completed in one hour and raised 1239 ETH, which at the time amounted to slightly over $1,000,000. When will ICO take place? We will be able to provide more accurate information on the terms of ICO a bit later; as of today, plans are to hold it on 30 May 2018. How can I become a provider in your system? Our system has several requirements for those who wish to become our providers. First, you will need high-speed Internet access, free disk space and Casper tokens (to provide 25,6 GB you will need 1 CST). Secondly, our system regularly checks on providers, so you must be online 95% of the time. What is the payback period for the provider? You can use the convenient calculator on our website to calculate the approximate pay-off period depending on your country of residence, and the prices for electricity, the Internet connection and the equipment. We are available in: Telegram, Medium, Twitter, GitHub, Bitcointalk, Facebook, Steemit, Reddit. Also, on YouTube we maintain a blog about new generation of blockchain, business and bitcoin - Generation B. Who will be the clients of the Casper API? 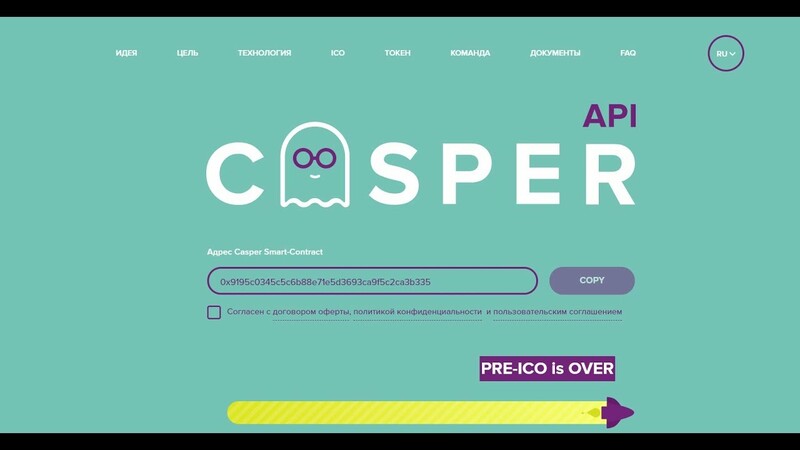 Dapp developers will be the first clients of the Casper API platform. The ICO or Initial Coin Offering is when some project issues coupons, or tokens intended to pay for services the site renders in the future. Is there a limit to the size of the file stored in the system? No. No limits to the file size.